So as well as singing you play piano, guitar, ukulele, and harp! The latter is particularly unusual, what got you started there? There was a singer that I was really obsessed with when I was younger called Joanna Newsom. I’d never heard anyone play the harp and sing before her, but I thought it was pretty interesting. Obviously it’s quite an expensive instrument and one that’s hard to get access to, so when I was seventeen I started going to some workshops in a nearby museum where you could play the harp for free. I got my first harp when I was eighteen. I’ve only just started singing and playing at the same time because it’s so difficult to coordinate compared to things like piano and guitar. Other than Joanna Newsom, who are your main musical inspirations? Sufjan Stevens, who is a singer and multi-instrumentalist – he plays in lots of different styles and does a variety of things, making short films etc. I try to bring in as many instruments as I can when recording demos, so it’s useful to listen to multi-instrumentalists. Stevens and Newsom both tend to do longer songs, which I try and emulate because you can go a bit further with lyrics then. I also take inspiration from composers such as Gershwin – I really like that old jazzy kind of stuff. Do you play original material at venues in Lancaster? I tend to reserve it for certain venues. For example I play at the Spotlight writing event at the Storey Institute, and I do all originals there because the whole point is they’re focusing on new writers. Recently I’ve been trying to bring more originals into all my sets – I think I’d convinced myself that they’re not popular, but really people don’t mind as long as you’ve written them well. The covers I do are as obscure as my own stuff anyway so most people wouldn’t even know unless I say. What do you think of the Lancaster arts scene? I think the local scene in general is really good. A lot of students tend to stay in a bit of a bubble on campus, but I’ve managed to get out since first year and do a lot of gigs in town and the surrounding area. Lancaster Music Festival is really cool – every single venue had a gig, even Barclays bank had an open mic. I’ve never really seen this level of involvement from any other town. On campus the music scene is also really good – most bars have some kind of regular music night, which I think is really good to have. What are your favourite venues in town? I’ve played at Yorkshire House a few times which is really good. Priory Hall is a cafe at the bottom of town which I played the other day for the first time and that was really amazing – it’s quirkily decorated and very chilled out. It stays open later at the weekends – people dip in and out but are also really quiet and listen which I really like. They also have a very nice grand piano. I don’t know, I’ve enjoyed playing all of them. County is good because it’s quite a big space, and they tend to be pretty well organised. I play regularly at Pendle Live which is great – the organisers are very friendly, and you tend to get other cool people playing and a pretty decent crowd. To what extent do you think the university supports music students and arts students in general? 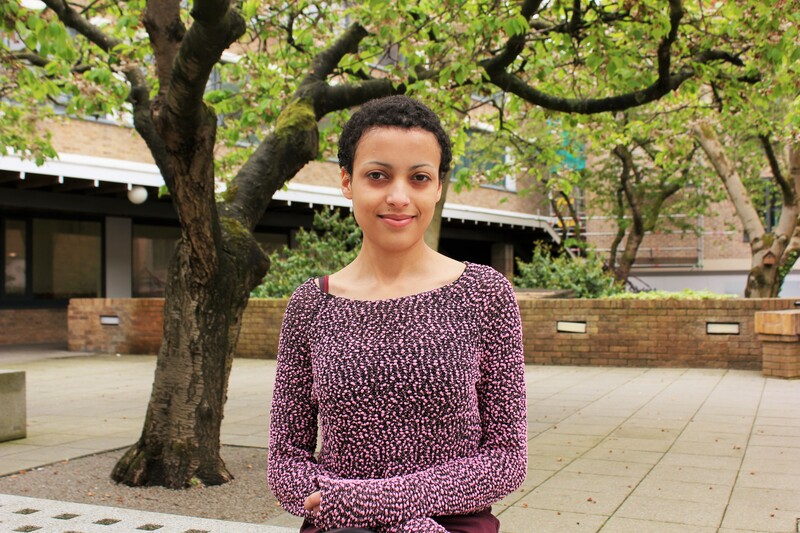 I’m one of the last eight music students – the course shut down in the first year I was here. I don’t feel like there’s been a massive amount of support. As a comparison, the University of East Anglia’s music department shut down a few years ago, and a lot of protests and stuff went on. They had big name celebrities signing petitions to try and keep the music department going. The equivalent here was very small scale – it felt like no one really cared. Whose job do you think it should have been to raise that awareness and fight for a music department? I don’t know. I think it would have been good for there to be more student solidarity. Obviously students can’t do everything though, so it would have been nice to see some support from lecturers, as a lot of them seemed to jump ship early on. Other than your solo performances, what other musical involvement have you had on campus? I’ve been a member of the music society, ULMS, since I started here. In the first year I was only really in the choir, but in second year I decided I wanted to take up clarinet again, which I hadn’t played since secondary school. I ended up joining more and more groups – I sing with the big band, brass quintet, I play in the wind band and I conduct the choir. Being in ULMS has really encouraged me to branch out musically and play in loads of different styles, especially the big band – I love singing jazzy stuff. There’s so many performance opportunities with the music society, in things like Campus Fest where I ended up playing in a ridiculous amount of things. And there’s no performance element on my course, so it’s been really nice to have ULMS keeping me busy on that side of things. We’ve previously interviewed people, for example the Marties, who have suggested the university could be booking bigger name acts onto campus and/or in the Sugarhouse. Where do you stand on this? I think that Lancaster is too small to be getting massive names, simple as. I’ve heard a lot of people saying we should get signed bands into Sugarhouse and stuff like that, but I think considering how small it is and the amount of people that would come I can’t see it being worth the amount of money we’re talking about. With stuff like Grad Ball, they’ve forked out loads of money and got a number one DJ, and everyone’s kicked off and said they’re paying too much money. So if people are kicking off about that, why would they pay lots of money to see a signed band in Sugar? It’s also just not a great venue for live music – Yorkshire House next door is much better. Really what we should be doing is promoting the quality local bands we have, as well as campus musicians, and encouraging students to go into town to see them. What’s the weirdest gig you’ve ever done in Lancaster? I have one that I can’t say… I’m doing one in July where I’m going to be singing and playing at a life drawing event in a garden centre which will be different! Play everywhere. Go to all the open mics and if people are calling out to musicians for gigs, say you’ll do it. I know some people who only go for paid gigs, but if you’re not trying to make a living from it at this stage, you may as well just go for everything to raise your profile, and eventually if you’re good enough the paid gigs will come to you.